After 16 years as MINI Downtown, we are changing our name to something that we think fits us a little better: MINI Toronto! With this new nametag, we can better the customers we serve (and searching for us online is now a little easier- don't you think?) As a proud member of The Quinn Group of Fine Motor Vehicle dealerships, we will continue to follow the philosophy of "Service Beyond Your Expectations" on every account. We are more than excited to embark on this new journey with you all. 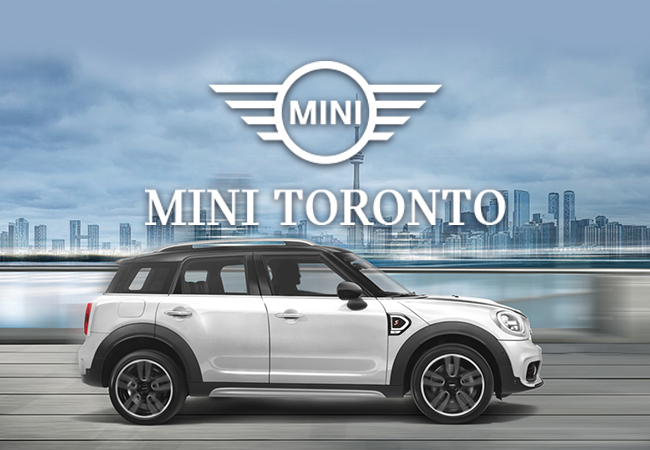 As MINI Toronto, we remain dedicated to providing the highest quality of customer service and to accommodate your every need to exceed your expectations. Thank you all for your love and support as we look forward to continuing your service over the coming years.